The state of California is currently locked in a battle with the federal government, which has been trying to loosen regulations on vehicles and fuel efficiency standards. California and other states are suing the federal government over the attempted rollbacks. Cunningham opposes the withdrawal by the federal Environmental Protection Agency of a 2013 waiver granted under the federal Clean Air Act that would prevent California from establishing its own emissions and air quality reduction standards. That waiver gave California the ability to impose stricter standards on vehicle efficiency in order to combat air pollution and greenhouse gas emissions. The resolution states global climate change has had observable effects on the environment and, dating back to the governorship of Ronald Reagan, California has obtained more than 130 waivers from the federal EPA to go above and beyond federal standards. “California’s utilization of those waivers has had a transformative effect on vehicle fuel efficiency and the environment and has contributed to California’s success in reducing smog and lowering California’s carbon emissions to 1990 levels while California has remained one of the world’s largest economies,” the resolution states. The federal EPA and NHTSA are currently accepting public input on the planned withdrawal of California’s fuel standards waiver and will hold three public hearings on the matter, according to Cunningham’s resolution. There has yet to be a vote on the resolution by the California Legislature. 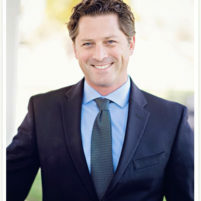 Cunningham is currently running for reelection against Democratic challenger Bill Ostrander. As he has appealed more to moderates, Cunningham has faced criticism from conservative constituents. The Republican assemblyman previously broke rank with his party and voted in favor of extending California’s cap-and-trade program. Cunningham was one of eight Republican legislators to do so. Cunningham has defended his support of environmental regulations, in part, by saying they are cutting costs for businesses and drivers. California has obtained more than 130 waivers from the federal EPA to go above and beyond federal standards. Cunningham should just go ahead and change the R next to his name to a D and make the transition complete. He has abandoned the taxpayers, as have all “D”s. Ca should have never got the power to do this, and its about time the Feds took it away,trump was half right when he said that these fires are because of poor environmental regulations. My grandfather worked in the Forest Service most of his life. The most natural thing to do is allow wild fires to burn. That is nature. We need to stop playing, God. The last time I checked, State and local governments were exempt from meeting the same smog compliance regulations that us lowly peons must meet. If still true, Jordan can start his greenhouse gas crusade there as far as I’m concerned. The last time I checked, my diesel that can run on peanut oil has a higher priced smog check than gasoline cars. They don’t even put it on the rollers! California regulations are a joke! Love your new gas taxes? Truckers always fill up out of state to avoid those! California has the stupidest laws ever! Maybe we need cleaner vehicles to offset the burning forests, houses, furniture and family photos? I beleive the market place does a very good job at demanding fuel efficient vehicles but I know how California is, California wants the revenue for their imposed regulations. I learned this in California 101, coincidently named after one of California’s pedestrian safe Highways.